Posted on 24th December 2017 in "Times Square"
The IMDb says Times Square opened in Spain on April 30, 1981. (In Barcelona, anyway… apparently Madrid had to wait until the following January 28.) 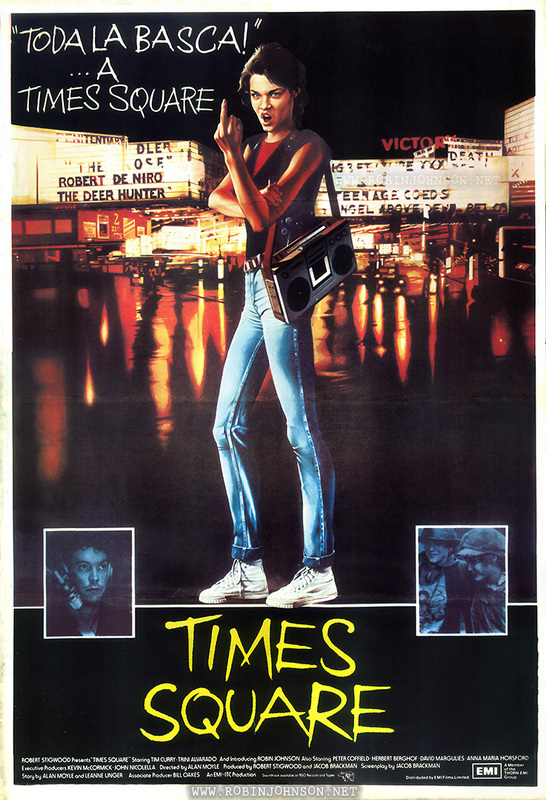 The poster accompanying this release is identical to the UK one-sheet, except that the artist’s signature and the printer’s information have been removed, and the tagline “Go Sleaze! in Times Square” has been replaced by a Spanish equivalent. Near as I can tell, it translates to Nicky ordering “‘The whole gang!’ … to Times Square”. It’s confusing because “basca” seems to mean both “gang of friends” and “nausea.” I’m happy for someone, anyone, to improve my attempt at translation.